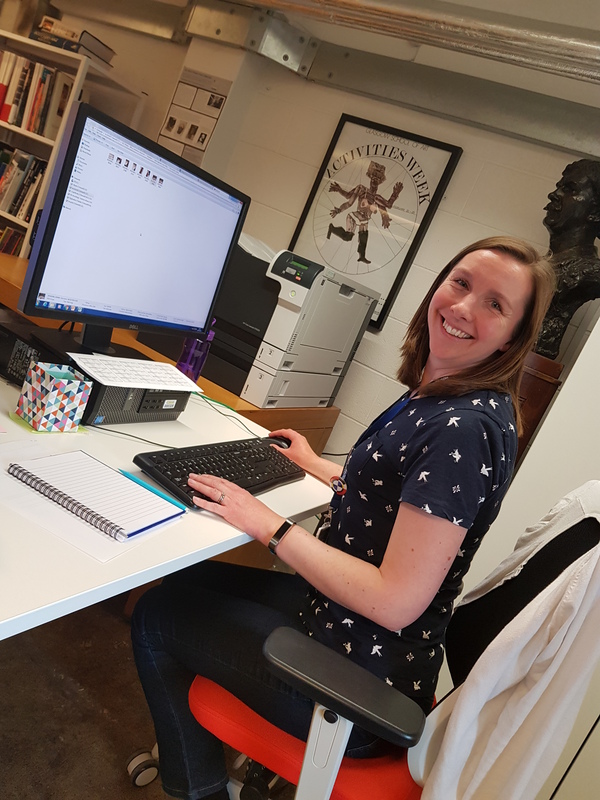 Hi there, I’m Jennifer Lightbody and I’m the new Archives and Collections Assistant at GSA. I’ll be working alongside Cat in the reading room and carrying out a wide variety of work in the Archives and Collections. I’ve already had a taste of this in a busy few weeks! I’ve had a flavour of group visits including helping host 58 textiles students, showing a selection of our collection to whet their appetite; displaying some of our WWI material at the ‘Women, War & The West End’ Heritage Show and Tell event in Hillhead Library; and on day one was involved in a Friends of GSA visit! I’ve previously worked in the Archives and Collections, undertaking a Skills for the Future traineeship in 2017 to catalogue the fashion show films, so finding out more about the wider collection has been great. My new role will encompass lots of different aspects, in addition to general support in the reading room and hosting visitors. 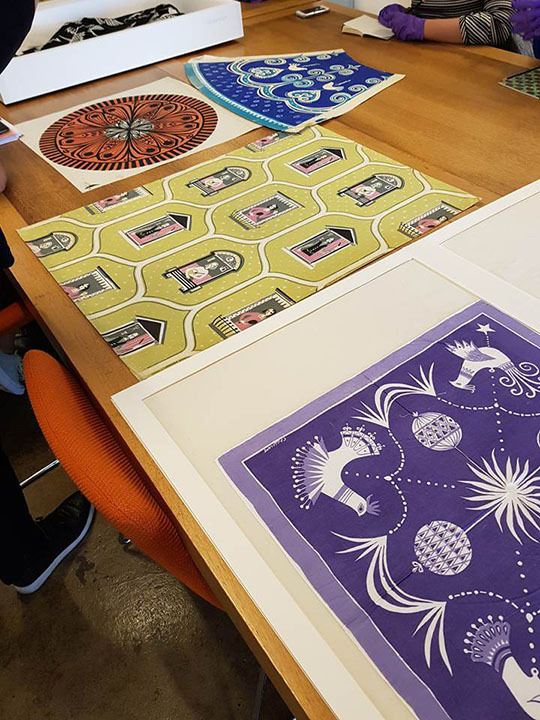 I’ll be taking the lead on social media, where you can follow us on Instagram (@gsaarchives), Twitter (@gsalibrary) and Facebook (@GlasgowSchoolOfArtLibrary), to see what we’re up to and what we hold in our collection. At the moment we’re posting about #ArchivesDecades, showing the range of material we hold from across the years. It’s hard to pick what to post about as there’s so much amazing material to choose from! Another aspect of my role is to process image requests. This is when users wish to use high resolution images from our collection in exhibitions, publications, presentations and more. It’s been really interesting to get straight into seeing how copyright regulations apply in practice, and also seeing the variety of material people are interested in and their uses for it. So as you can see, there is a huge variety to my role. I’ve loved the first few weeks and getting hands-on with the material, especially seeing the users loving it as much as we do!